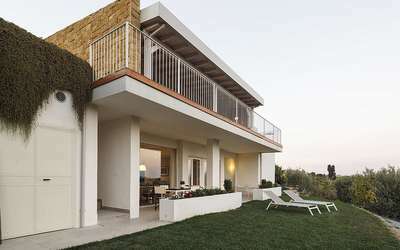 Helorus is a splendid property with swimming pool, consisting of two independent apartments, situated near Noto, a charming town known as "the capital of Sicilian baroque". Immersed in greenery, these recently built apartments share the beautiful pool and come with a large, private terrace offering relaxing views over the surrounding countryside. The Zagara Bianca apartment is on the first floor, whilst Nocellara is on the ground floor. Modern and comfortable, both apartments can accommodate up to five people and include a kitchen/living-room open onto the terrace, two cosy bedrooms and two bathrooms with shower. Furnished with taste to provide maximum comfort, they are equipped with air conditioning, Wi-Fi, satellite TV, dishwasher and shared washing machine. The practical location of Helorus is ideal for exploring the charming surrounding area. 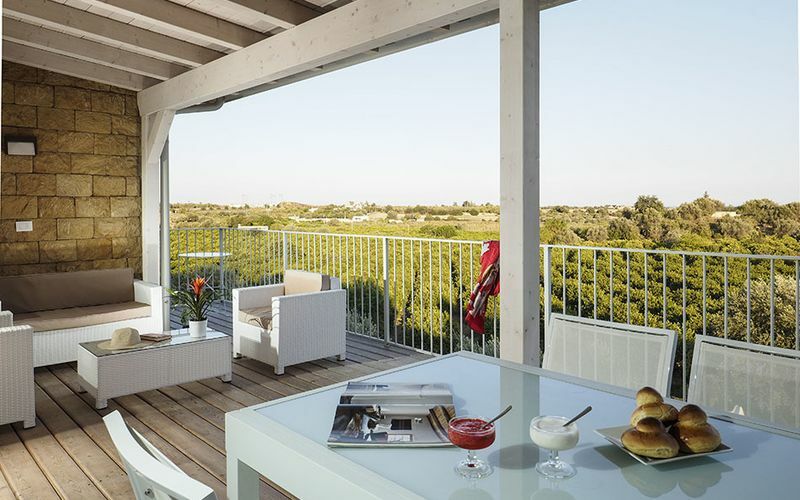 The beaches of the Vendicari nature reserve, the fishing village of Marzamemi and the towns of Syracuse, Modica and Ragusa are all a few kilometres away.